prenuptial agreements, parenting plans and time sharing (custody). ​Keith is a gentle warrior; Admittedly soft-hearted, Keith offers you patient, individual attention because you are struggling with the emotional weight of your legal problems. Of course, with Keith's wealth of courtroom experience (beginning with his 6 years as an Assistant Public Defender), he fights for what's right in court when the situation requires that approach. Keith promotes Collaborative Divorce and Mediation because he knows these no-court options provide more honor and respect to the restructuring of a family. ​Keith also mediates privately without attorneys. Keith has earned the respect of the local judiciary, his clients, and the legal community because of his sensitive approach, creativity, and dedication to his clients. He has the temperament to balance cooperation with litigation so your rights are preserved and your family is respected. 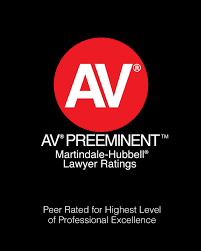 Keith has been AV rated by Martindale Hubbell (less than 15% of all lawyers are awarded this distinction) and has been recognized as a Super Lawyer by Thomson Reuters. When not spending time with his wife and three kids, Keith is usually cheering on the Florida Gators (especially the men's basketball team), listening to all genres of music, or listening to business podcasts. He wishes he had more time to get out and practice street photography (look it up; it's a thing). Keith graduated from the University of Florida with a law degree, as well as a Bachelor of Science in Journalism (Go Gators!). He is a member of the Florida Bar and Lee County Bar Association. You won't hear Keith talk much about his extensive accolades, but his marketing person insisted he needs to include it here. Keith is President of the Southwest Florida Collaborative Professionals Association. 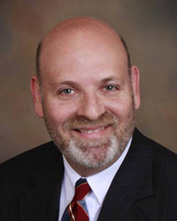 He is on the Board of Directors for the Association of Family Law Professionals, Florida Academy of Collaborative Professionals, and Jewish Federation of Lee & Charlotte Counties. Keith served as the President of the Lee County Bar Association in 2009. ​Keith is a Family & Civil Mediator certified by the Florida Supreme Court as well as a Florida Supreme Court Qualified Arbitrator. He helped to establish and supervise the Lee County Family Law Case Management Program designed to help families in divorce navigate through the court system and reduce conflict typically associated with the divorce process. The Association of Family Law Professionals awarded Keith the 2015 Hugh E. Starnes "Think Outside the Box" award for innovation and dedication to non-adversarial practice. The Cape Coral Community Foundation has also recognized Keith as a nominee for the 2018 Elmer Tabor Generosity Award. ​Keith has also presented a number of training workshops and college level classes on the topics of Family Law, Dispute Resolution, communication skills, presentation skills, negotiation skills, mediation skills, and meeting skills, as well as written extensively about these topics. ​To see Keith's complete resume, click here.